I will repeat a lot of Pictures from my previous Post, and I’ll show you how to break the Link between a Project, and Resource Pool.. I will show you a case in MS PROJECT 2013! 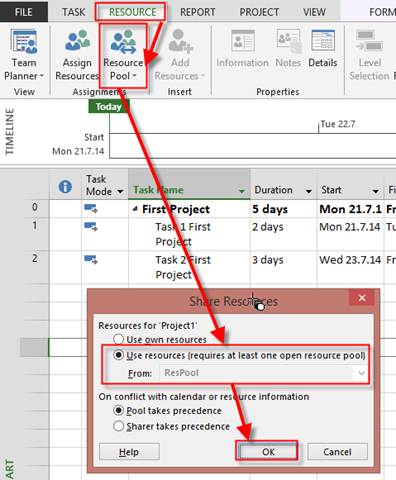 After I break the Link between Second Project and Resource Pool, in my example John, and Mary are not over allocated any more. BUT! 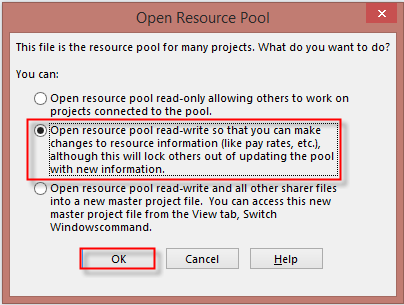 If I open Second Project Again I will get this Project linked with Resource pool, again! 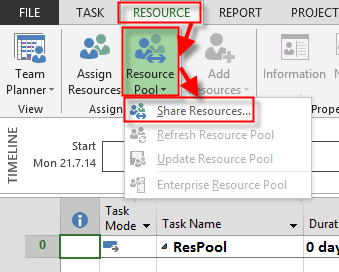 Save Second Project and Resource Pool as well, and you are done! This entry was posted in MICROSOFT PROJECT, Microsoft PRoject 2010, Microsoft Project 2013 and tagged Microsoft Project 2010, Microsoft Project 2010 - RESOURCES, Microsoft Project 2013, MS PROJECT - Resources, MS PROJECT 2013- Resources. Bookmark the permalink. Thank you for this! It worked beautifully! “Simple”? I don’t think so. 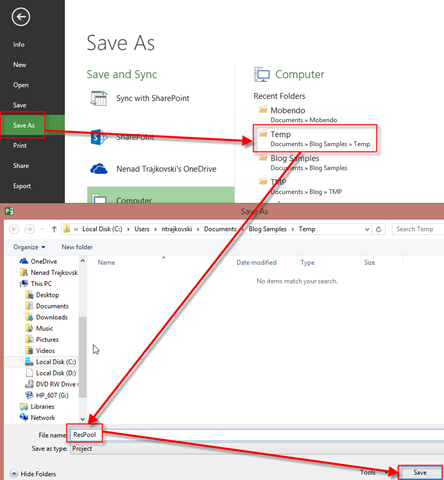 How about the answer from the MS Project 2013 certification: You have to manually delete the link (to the deleted file)! 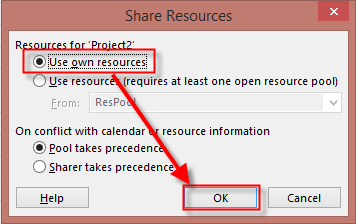 …in the resource pool click “share resources”, select the canceled project and click the button “break link” – resources and tasks are gone much faster and you could archive the canceld project file. When you break the link, and open Project for which you broke the link, the link will be there again! ?